Tonight, Bill Moyers had a marvelous episode which I can’t recommend enough. The first segment was about the SCOTUS decision and the impact on our democracy. With pro and con voices. The second segment I found the most intriguing, with a doctor who had been working for single payer with Congress…and was ultimately shut down and out by the White House. And a final piece on which corporations finance these Republican and Democrat retreats. I highly recommend watching these segments and the rest of this remarkable episode. thanks AdLib for this heads up. 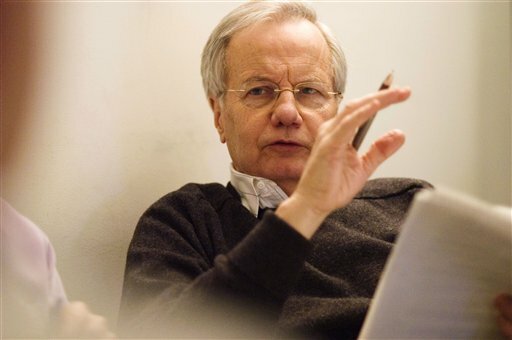 Moyers is an all time favorite and an increasingly rarer sort of journalist. I am really going to trust the guy in the leather jacket that looks like Eric Estrada, NOT! What I find fascinating is how he’s changed over the decades. As the press secretary for LBJ during the worst of Vietnam, most of us boomers who opposed the war did not trust him an inch. When he left the White House and politics, he used his time for real reflection and growth. Indeed -- what WILL we do when this voice for sanity, morality, and good sense is retired? I hope he writes more about his moral journey. I think what he learned could be useful to us all. C’Lady, i heard him speak on this subject and how torn he was between the war and LBJ’s “Great Society.” LBJ hated the war and the quandary he was placed in(or placed himself in). He really wanted to get his social programs well under way. So easy to see that now with the tapes and hindsight, but I agree at the time Moyers felt like the mouthpiece for the war that many of us were against. b’ito — I would love to hear Moyers speak. What a wonderful experience to have in your memory rolladex. This speech that he gave at The National Conference on Media Reform in 2005 is one of the most insightful and powerful commentaries I’ve read about our media. He is simply unmatched when it comes to describing the state of news in this country. Thank you for this, AdLib! What will we do when this man retires?